Our client, a leading manufacturer of highly specialized building systems, required research support in order to better understand the needs of their customers. The project’s goal was to conduct a comprehensive analysis of our client’s market segment, and to determine the level of consumer satisfaction with services provided by manufacturers of building materials (including both the client’s company and competing companies). In order to effectively pursue our research objectives, we applied a quantitative approach. We performed 160 CATI interviews with construction companies which use products manufactured by our client and competing companies. ● The purchasing process and key factors in decisions made by construction companies when choosing highly specialized products. The final report included detailed information on the segment of specialized building products used by construction companies. It also included a diagnosis of consumer satisfaction with both the client’s and their competitors’ services. The study’s findings will enable our client to implement effective solutions and marketing efforts, in order to increase end-customer satisfaction. In addition to the report, a team of PMR researchers conducted a series of workshops for the client’s sales departments, aimed at understanding the decision-making chain in construction companies and analyzing the needs of end-customers in terms of the sales process. 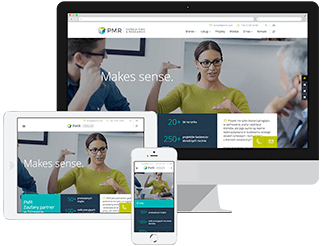 Thanks to PMR’s effort, the client will now be able to manage sales effectively and comprehensively – both on a global scale, and on the level of local sales representatives.